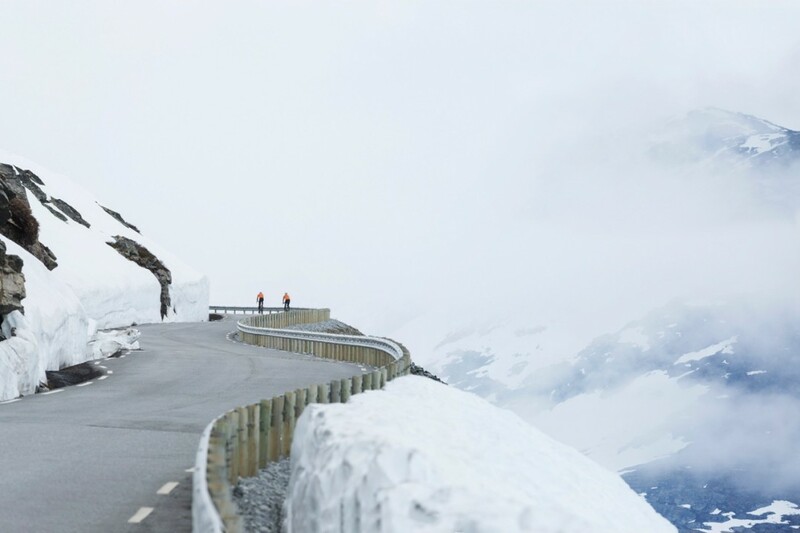 Few things photograph as well as the combination “mountain”, “road” and “cyclist”. In the book “Bakker og berg” you’ll find it all. 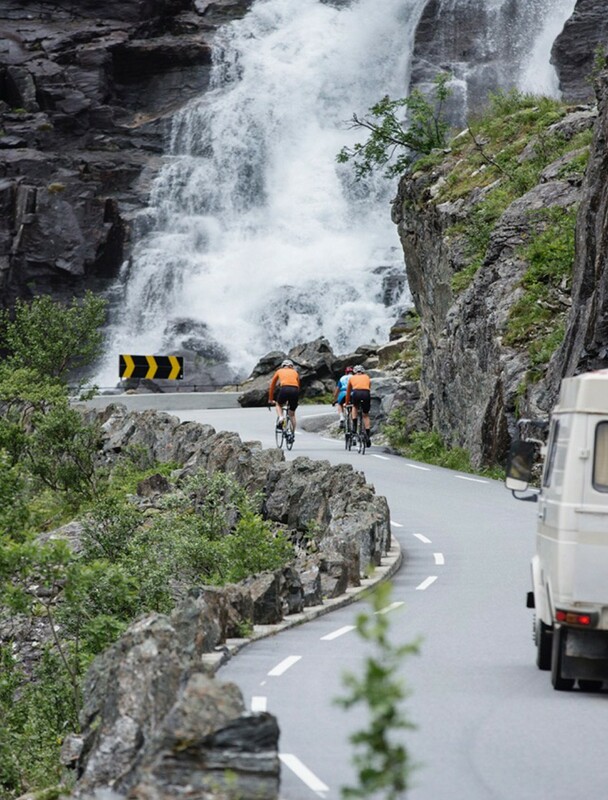 Pure joy and beautiful Norwegian natur. 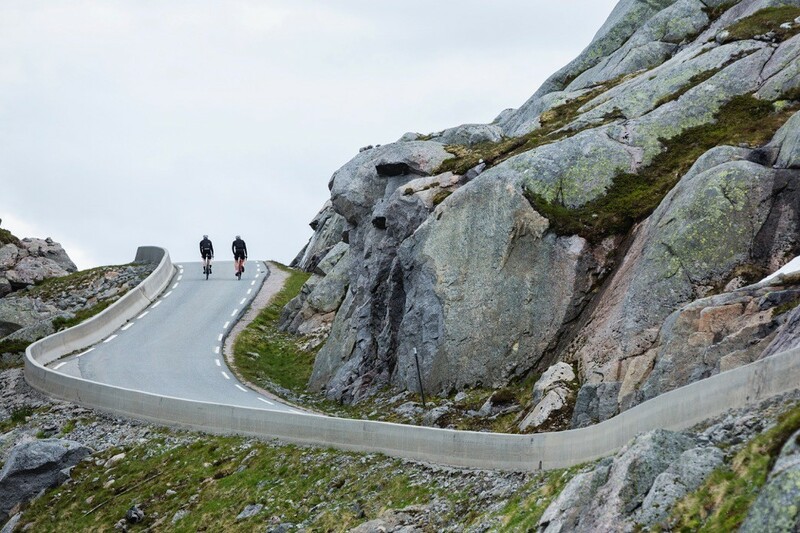 Norway is blessed with some exceptional mountains, roads and slopes, and that is the subject of “Bakker og Berg”, a book detailing some 30 of Norway’s finest cycling experiences. Behind the book you’ll find photographer Tor Simen Ulstein and his brother Geir Stian Ulstein, who penned the book, and who together with members of their bicycle project “Saddle Project”, including Martin Berger, Aleksander Gewelt, Jørgen Rydheim abd Alex Rowley, have biked all the stages portrayed in the book. - The bike is for getting from A to B as fast as possible. For a long time, that was it for me, but after becoming a part of this project it has become something more. I have discovered how liberating and meditation it can be. 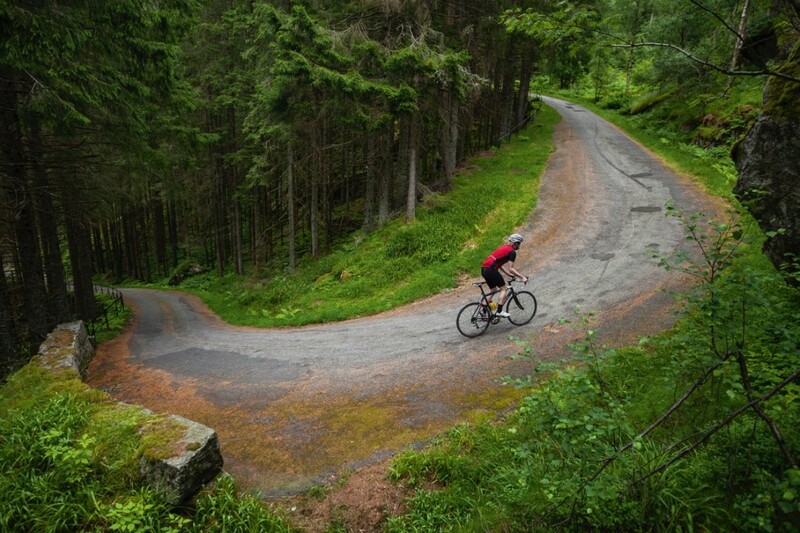 Going uphill for example: to find the rhythm and to slowly move upwards while breathing in the landscape around you. Or in the city: where you meet an obstacle around every turn and need to think fast in order to keep up. Bicycling is simply the most OK thing happening since skateboard, Tor tells us about his personal relationship with bikes. 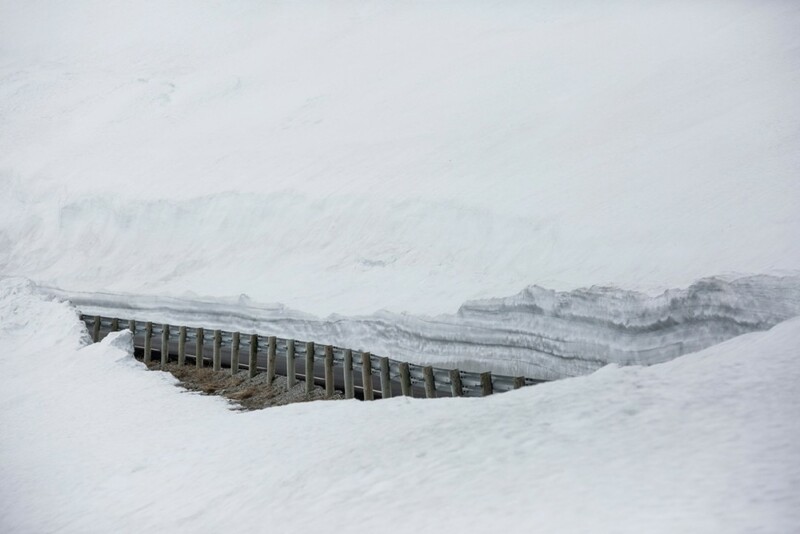 - We took what we learned from “Drømmenes fjell” and captured 30 + mountains, roads and humps. From a photography perspective I wanted to be closer the riders than before, so I took advantage of having a driver so I could shoot while in motion. Photography is such a big part of cycling, why do you think that is? In cycling, each moment is so composed of history, color, pain and aesthetics; photography is a medium that on a larger scale manages to capture the whole. As a sport is was more or less created to generate news. We already have over 100 years of news influencing today’s news, and every moment is both outstanding, but also a part of history – and also something that reminds us of previous moments. For example: a rider leading up Mont Ventoux. It’s an outstanding moment. At the same time you can instantly draw lines to those who have done it before him: some have won, some might even have died: the spectators have cycled the same climb earlier that day but are now cheering and running along with the rider. Before them the sky is blue and the road is grey. The wind ripps at them. It smells of sweat, alcohol, and sunscreen… the rider is in pain, he is on the verge. He is fighting those behind him, the mountain, himself. And out of this – out of all these details, you can collect photographic moments that are so full of history that are so full of stories as what Tour de France founder Henri Desgrange hoped they would be when he initiated all of this over 100 years ago. 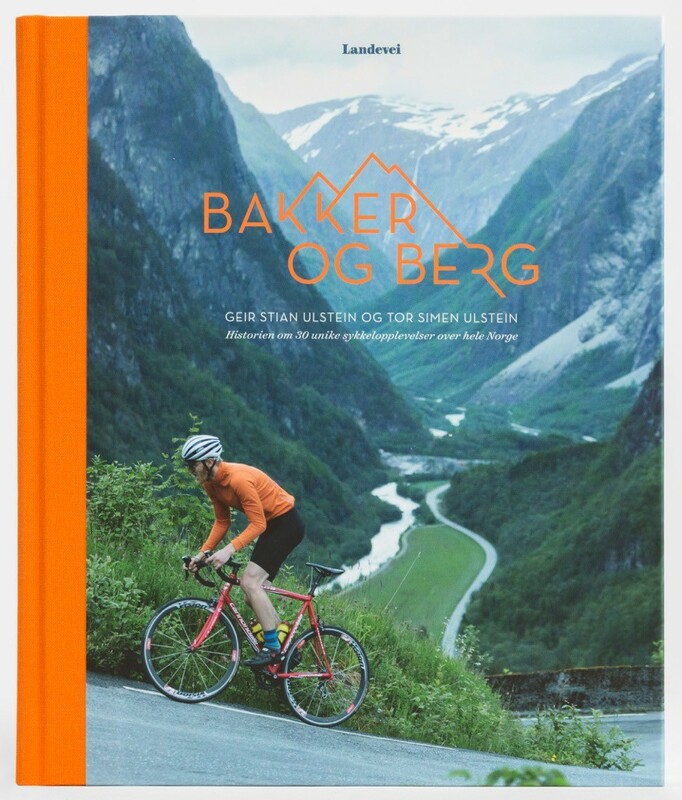 “Bakker og Berg” is out on Fri Flyt publishing and can be found here.